March is a special month to celebrate prospect development. It’s also a special time to say thank you to our clients and the nonprofit community itself. We’ve been fortunate to meet many clients at Apra and other association conferences, at onsite meetings, and certainly during live demos and success calls. Prospect research is a unique blend of art and science, intuition and analysis. And we can say without a doubt that nonprofit researchers are among the finest people we’ve ever met. 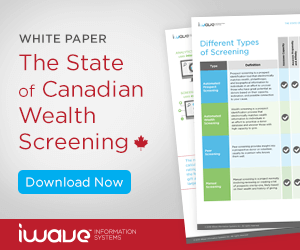 iWave is entering a period of tremendous growth and change. Thanks to client feedback and reviews, we are the top rated prospect research platform on the market. But we aren’t ones to rest on our laurels. We will continue to innovate, expand, and provide the right data and features to our clients. Because at the end of the day, iWave’s mission is to help grow your nonprofit’s mission. We are here to provide the solutions you and your team need to make the world a better place. 2018 is going to be a big year for us. There are some exciting announcements to come about new datasets, must-have features. 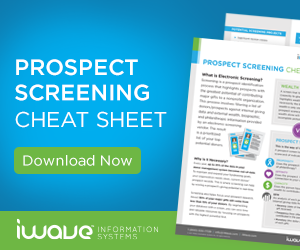 We are also working to position iWave as the leader in prospect research solutions. We also hope 2018 will be a big year for you. Here we are already two months into the new year. If you need help optimizing your iWave subscription, we invite you to reach out to your Account Executive, Client Success Manager, or a member of our Client Support team. 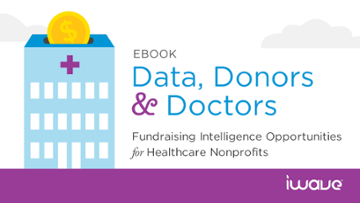 We are here to help you learn strategies and practices to find and synthesize donor information quickly and with confidence. Please reach out to support@iwave.com. If you are new to iWave’s solutions, there’s never been a better time to see what you’ve been missing. Most importantly, thank you to all prospect development professionals for the important work you do. 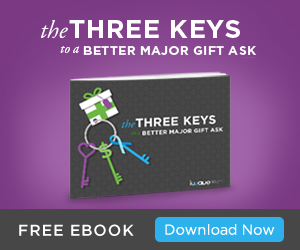 You provide critical fundraising intelligence to inform evidence-based major gift asks. 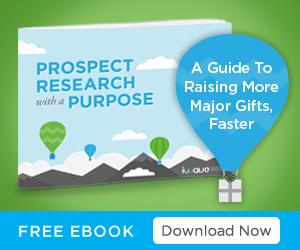 Little wonder that over 85% of nonprofits who use prospect research meet or exceed their fundraising goals year over year. 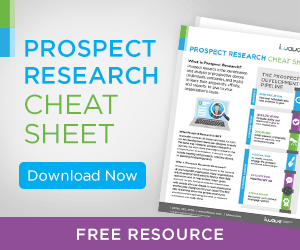 Prospect research is the secret ingredient to successful fundraising. But it doesn’t happen in a vacuum, and it doesn’t happen at the click of a button. Thank you for your grit, dedication, and #ResearchPride in the work you do every day.